Chung Wah Dance was formed in 1980 with the objective of promoting and preserving Chinese culture not only within the Chung Wah Association but also in multicultural Australia. 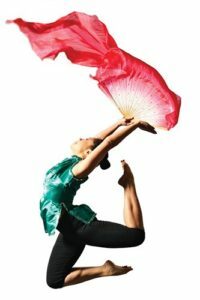 The group regularly perform classical and contemporary Chinese dance at a wide range of community events and celebrations, including Chinese New Year. Performances vary from the classical “Han” and minority dances to contemporary Chinese dances. The group has performed at many venues and events, including the Oz Concert on Australia Day, Chinese New Year Festivals and various other multicultural festivals in Perth and around Western Australia. Performers are volunteers, they train every Saturday at the Association’s hall in James Street, Northbridge. Any fees charged by the group go towards the teacher’s fees and costumes. The Chung Wah dancers are available for dance performances at community and corporate events. To book, please complete the performance registration form and email to chungwah@chungwah.org.au to confirm availability. All ages welcome, no previous dance experience required although it is preferable. Many performance opportunities available.